ACSI's Purposeful Design Mathematics Grade 6 student worktext has been fully updated and features new, bright, fresh, and engaging illustrations and imagery. Lessons integrate conceptual understanding, problem solving skills, modeling, reasoning, and strands of algebra and geometry with a strong emphasis on skill development and concept mastery. 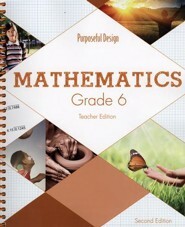 This grade 6 text features units on multiplying/dividing whole numbers and decimals, geometry, fractions and number theory, adding/subtracting/ multiplying/dividing decimals, integers, area and volume, radios, measurement, and more. 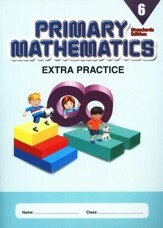 This 2nd Edition also includes more practice opportunities, hands-on activities, and learning-based projects. Lessons are designed to take 30-40 minutes, five days per week. 399 pages, softcover, indexed. NIV Scripture used. Non-reproducible. There is no room to write out exercises; could be used as a non-consumable text with answers recorded separately. 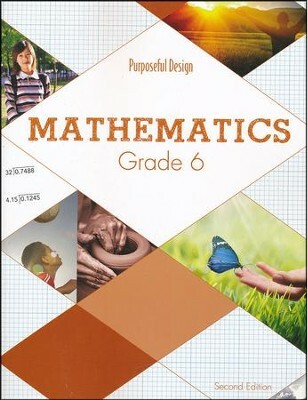 I'm the author/artist and I want to review ACSI Math Grade 6 Student Textbook (2nd Edition).